Today, unmanned aerial systems typically require multiple payloads with dedicated components, including antennas, radio frequency circuitry, and processors, to conduct communications, radar, and electronic warfare missions. These single-function payloads can’t be installed on a compact UAS at the same time because of the size, weight, and power constraints of these platforms, limiting what they can do without swapping payloads on the ground — a process that seriously hinders mission efficiency. 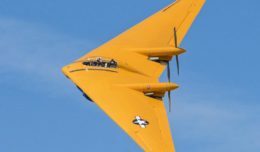 Under two recently awarded contracts from DARPA (the Defense Advanced Research Projects Agency) worth a combined $5.4 million, BAE Systems is developing technology that will enable compact UAS to conduct multiple mission tasks with single, multifunction payloads that can adapt to changing battlefield situations and mission needs in real time. 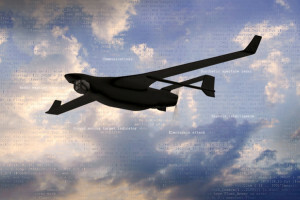 DARPA’s program, called CONverged Collaborative Elements for RF Task Operations or CONCERTO, focuses on supporting communications, radar, and EW systems with a flexible RF architecture that uses shared common hardware, enabling multifunction systems that meet the low-SWaP requirements of compact UAS. The converged systems will be able to efficiently switch between intelligence, surveillance, and reconnaissance; command and control; networking; and combat operations support missions without physical payload changes. For our part of the project, we’ll focus on maximizing the RF capabilities of the hardware (i.e., bandwidth, frequency, distance, and field of view) to ensure that all missions can be accomplished from the same components. BAE Systems is also developing a flexible, virtual RF processing engine that can be reconfigured to quickly support diverse and simultaneous operating modes. As processing technologies become increasingly diverse, our virtualization technology can provide adaptability and scalability to a variety of platforms. This program builds on the company’s expertise in RF microelectronics, cognitive RF processing, and multi-intelligence processing.